Why do people buy protection for their hands in he wintry months? Some buy for sport, others for work, others simply for comfort. Before shopping for the perfect winter gloves for extreme cold weather months, determine what kind of protectors you will need. 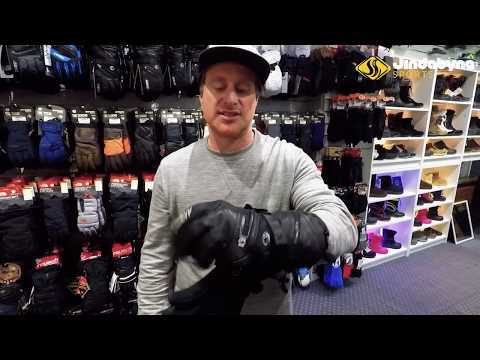 Will you need winter gloves for sub 0 degrees or will ones for the 30-40 degree F work? Are you going to need an inner lining? Are you going to need waterproof? Are they for work or play? What is your price range? A formula of Swedish perfection for the hands that are so incredibly soft and warm from the layers of protecting merino wool you will never own another pair of winter gloves again. Fashion doesn’t suffer either under the surprisingly hidden layers of traditional knitted wool; each pair displays the symbolism and beauty of Nordic folk life, created by Swedish creator Ase Ojbro. Available in multiple colors and designs and are unisex. They are so surprisingly warm that they are supported by the Raynaud’s Association; sufferers of this condition will no longer need to feel the aches and pains of this problem with a pair of this glorious circulatory, warm, comfy, soft, pillows for your hands. With this much perfection, it is difficult to find negative opinions anywhere; however, some people claim they are bigger than advertised. Fortunately, they come with a lifetime warranty so any problem is easily fixed. Customers cannot praise this product or the company enough. They claim that they will never own or purchase another product other than these as long as they live, that the softness, warmth, snug comfort is incomparable to any other design on the market.For that Objro considered as one of the warmest mittens in the world markets right now. Every year this company makes the top of the list for their perfection in all the knitted merino products, especially their gloves & mittens. Their incredible thickness is miraculously hidden behind their beautiful craftsmanship that has become worldwide famous. Your hands will stay warm even in the coldest of temperatures and the ribbed wrist protectors will ensure no cold air enters to attack your hand. Even though with circulation problems like ones suffering from Raynauds will get relief from this product. If you are looking for more dexterity, flexibility and touch screen compatibility in your favourite winter gloves . 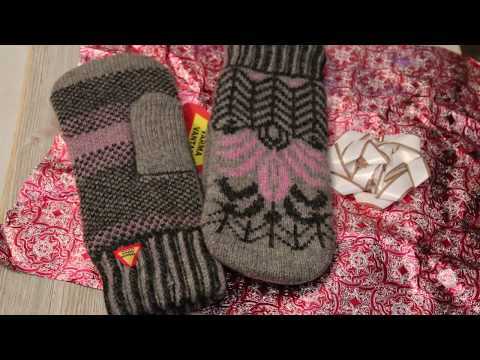 Öjbro Vantfabrik has designed a high quality gloves which guarantees the same effectiveness of mittens. Click Here to grap your pairs. Designed for the rigors of Alpine peaks and the deepest of Arctic explorations, this product comes with a litany of design features to protect your hands from freezing elements. Created with the finest weatherproof elements including: waterproof and windproof GORE-TEX outer material, Moonlite Pile Fleece lined palms, ToughTek LT tabs to help prevent from slipping, insulation made from PrimaLoft Gold, liners within the product which are a removable layer for extra protection if needed, and stitching done by Kevlar. All of this and more is done for the consumer to guarantee their protection in the harshest of arctic conditions. There seems to be a difference of opinion on how warm this product really keeps your hands. Each person is different and blood circulation is also different, but enough people say that they are not keeping them warm enough even in -12-degree F. However, all the other features are still very worth raving above, and many people argue that they are indeed the perfect arctic product. Most people who rave about this product live in areas where freezing temperatures are a norm, so it could be their blood is used to these harsher conditions. However, even those who have visited the arctic circle on a filming expedition herald that this product did exactly as advertised. It is unfortunate that a few individual’s fingers got cold, not freezing, but cold in -20+ temperatures and were not satisfied with this products advertised description, especially at the price; regardless, the linings, moisture wicking, windproof, waterproof, gauntlet type closure, and durability are all reasons to still love and buy this product. If you are going to be subjected to harsh and severe winter temperatures, I would still rather have a product that delivered everything it promised even if my fingers did get a little cold, rather than gamble on the unknown. These men’s gloves by Swany are made from top grain leathers and are tanned for to provide not only durability but also water repellency and suppleness. They come with thicker backs to provide more warmth. The palms are thin for greater dexterity. The Fingertips are constructed in such a way to minimizes drag. This also prevents excessive tear and tip wear. The problems with these brand that you will feel your hands are getting wet. This is not due to external wetness but it is the sweat that condenses and has no way to be released or get absorbs as the layers are completely insulated. Lastly, they are a bit pricey as compared to others. It is manufactured from ORE-TEX which is a durable and lightweight laminate which is sealed at the seams. It is fitted with a Tri-plex insulated layer which makes it totally waterproof and breathable. It features a Uni-pull cuff along with a quick release strap to make it more comfortable. Other features include Volcotek Utility heat pocket, AquaGuard lock-down zipper, reinforced digitized palm, and Swany leash. These gloves are something you can trust when to keep your hands well-protected. They are the perfect water repellent and warm gloves you will find if you don’t mind the price and don’t sweat much. They give an exceptional performance in all types of weather and can survive wear and tear. Thus, they will be an excellent companion in your cold journeys and will last many years to come. They might be pricey but provide good value for money making the investment worth it. Overall they serve their purpose well! The Daushstein company, from Austria, is known for boiling their 100% wool weave to make it shrink as small as possible to keep the wind out of its super soft winter gloves. They are family made and use a 4 layer heavyweight wool to ensure the warmest mitts in the world. Capable of absorbing up to 30% of their own weight in water and still maintaining their insulation abilities have made them a world-wide name. Additionally, they are antimicrobial and made to last a lifetime if hand washed in cold water the first time and left to dry flat in the air. Measuring your hand perfectly seems to be the biggest contingency as size seems to be the biggest issue; some say they arrived too small; some say too big. Daushtein says to measure one’s hand from the tip of the longest finger to wrist to find accurate size. The rest of the consumers know these products to be everything they claim, the warmest, softest mitt your hand will ever slip into. When purchasing an all-weather winter gloves, look towards a company that for decades is run by a family who has never compromised on delivering warmth, softness, protection, and guarantee. Black Diamond’s product is a prevalent selection for annual use. It uses a Pretext Shield as its outer shell that is lightweight, completely waterproof, scratch resistant and offers flexibility other such products lack. It includes a Prim aloft Gold fleece removable liner that is used solely or with the shell for extra warmth. The large gauntlet style has goat leather in its palm and the stitching is Kevlar for that extra durability needed year after year. A minimal number of complaints exclaimed that the product did not protect hands, did not come with the 3 finger liner as advertised, and was way too small especially the thumb was particularly cold. On the other side of the coin tons of people rave about the warmth and waterproof in temperatures of-20F and below and rave how great these mitts are. Perhaps it’s all in the pair you get off the rack, but for the money make sure to examine them carefully. This is a quality company, so I feel the people who had poor experiences just had bad luck. Black Diamond is known for quality products and people shouldn’t necessarily be deterred by a few products that came of the line flawed when millions of others didn’t. 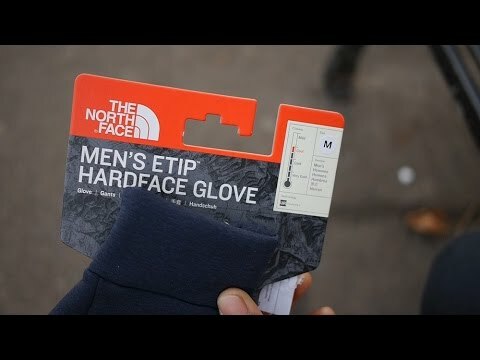 These gloves by North face are made of pure Fleece and help you stay connected even when you are out in the cold by being touch-screen compatible. 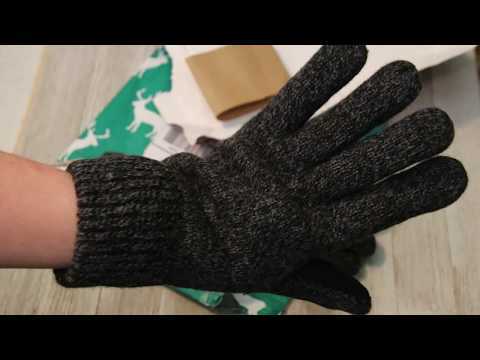 They are four-way stretch fleece glove and they feature a full palm conductivity which enables the use of all touchscreen devices without any hindrance and the need to expose your hands in cold conditions. It gives you full palm conductivity. The problems with these gloves are that any rough use can cause them to tear easily. They are not very durable and are made for light use. Their main purpose is touch capability which they provide at the expense of durability. Lastly, it is pricier than similar products in the market while the feature are same. This is due to the brand name and quality. The best thing about them is their etip functionality together with sheer effectiveness to keep your hands warm in style. If you care about style, then these gloves will are surely for you as they not only do their job well but they look good too. They have a minimalist design that is stylish and goes with most outfits. They are also machine washable and they feature a five-dimensional fit which gives it consistent sizing. They come with Radiametric Articulation thus keeping the hands naturally relaxed. They are perfect for tech-savvy people who can’t seem to keep their gadget down even when they are on go. They serve their purpose well but requires heavy investment which might not pay off if you don’t take care of them well. They fit, they keeps you warm, and lastly they are extremely comfortable. So there is nothing to dislike about them and you will definitely love them when the cold seeps in. Gordini’s Men’s hand protector is one of the most noted in the Business. It is waterproof when Ruth and has a breathable insert provided by Aquabloc. It’s goose down and waterfowl feather insulation is provided by Naturalloft and it has a moisture and water management system provided by Lavawool. Its gauntlet closure is the perfect end to the deerskin breathable stretch fabric that enables one’s fingers to grip with their palms and thumbs with ease. Concerned with a little dirt and water repellent. With the correct size, the rest of the gloves are silky and fluffy, slipping your fingers into a cloud of ecstasy. The insulation is what is to be noticed innies hand protectors with a package of 600 Phil power of goose and water down feathers on the back of the handmade from a natural loft insulation package and mega loft insulation on the inside of the Palm your hands will never feel softer. Lovel is a specially made moisture system that lines the Palm with a super soft and plush feeling on the back of the hand while also having an extremely breathable windproof, waterproof Aquablok insert. According to consumers, it’s worth every penny. Imported from a small Family Factory out of New Zealand, the newest and warmest fabric come from the planet is actually possum down. This lightweight brushtail possum wool Fiber is the lighter and less bulky are wool then Marino making it have even more amazing waterproof and wicking properties than Marino. The hollow fibers within the possum wool are pockets of insulations which are the key to making them warmer and lightweight; it is perfect for camping travel and hiking. It will be the softest most comfortable in water-resistant winter gloves you ever have worn so far. The best things in life really do come from Mother Nature, and New Zealand’s have found this to be true when making their hand protectors. By mixing possum down with a little bit of merino lamb’s wool, they have provided the best winter gloves on the market for basic winter weather. The fibers and quality of these hand protectors will keep your hands warm and cozy and wind and waterproof through most winter. The Scout Glove is the precise arrangement of convenience and performance. It’s utilitarian but durable enough to operate like a trait -driven technical glove. A compatible touchscreen and removable stretch fleece liner are provided by Storm Liner. A tough nylon/poly blend shell that has been DWR treated and a palm made from Rubbertec ensures grip and durability. Dakine has also included a waterproof layer of DK Dry™ between the two layers. With the Scout on your hands, you’ve got a watery weather gauntlet, a toasty weather fleece hand protector, or a 1–2 combo product that gives you the finest of both worlds, luxurious insulation, and durable security. 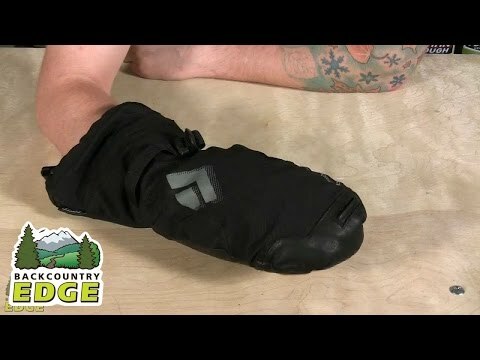 The cinch one hand gauntlet also prevents any wind or water from entering the product. A few complaints when temperatures reached sub 0 degrees. Fingers seem a little small. So many compliments came in especially about the extra features not mentioned like on the back of the left thumb there is a rubber squeegee for cleaning your goggles. Additionally, on the back of the right thumb, there is a rag light surface for wiping other things, for example, runny noses. Moreover, this product also has spring loaded retainers inside The cuff that attaches to built-in leashes, so they will never fall off your wrist. These are great features that ought to be mentioned. 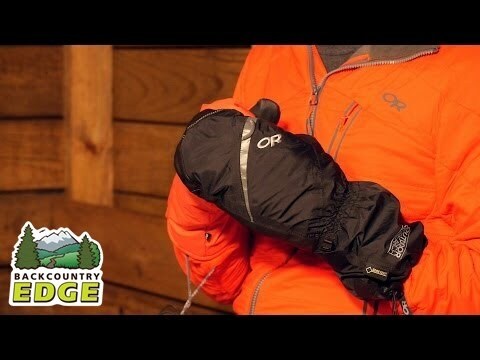 The Dakine Scout hand protector seems like a perfect semi cold product if you’re not hitting temperatures below -15. All of the extras that go into making the product make it a quality hand protector and all the extras make the product seem worthwhile when hiking ,riding on those cold days in the mountain or a a good cheap ski gloves. Protect your priceless hands and keep them in working conditions with the Carhartt® WP hand protectors. These heavy-duty products feature a reinforced palm with an all- function Polytex shell. Your hands will stay warm, dry and protected with the waterproof insert by Dri-Max® waterproof insert. This is combined with an insulated microfiber lining for the sole purpose of keeping your hands dry and warm and comfortable while on the job. The specific wrist closure is a strap that secures the product for durability and longevity in cold weather hard labor. Additionally, Force® moisture wicking and antimicrobial inner lining will keep your product from building up odor even after a hard day’s work. This microfiber insulated lining keeps your hands warm and dry while you’re on the job. The wrist strap closure secures the Carhartt® WP Gloves for day after day of cold weather heavy labor. The biggest complaint is that they are difficult to get on by yourself. Several pairs also seemed to start to give way at the stitching after hard manual labor. These seem to be the best winter gloves people have ever bought, but as for being designed for hard labor, perhaps a different choice. The problems could be people aren’t caring for them properly. The company clearly states to “Hand spot clean in warm water with mild detergent. Hang to dry. Not to use hot water. Not to put in Dryer.” Other than using them for a work hand protector, everything about them says they are an excellent cold weather, outdoor activity hand protector. Investing in the proper hand protector for your outdoor activities is an important choice. It can mean all the difference between fun on the slopes or hiking or having to either buying a second pair while on vacation or freezing hands and a miserable time. Therefore, having the knowledge ahead of time in what to invest in is imperative. Prior to investing in this indispensable product, take a look into the buyers guide to decipher exactly what it is you should invest in. Choosing a hiking gloves, or mitts, based on function, means choosing it for the activity for which you will be wearing them. Do you need hand protection for work? Or maybe it is for fun, such as skiing, snowboarding, ice fishing, or some other outdoor winter activity? Perhaps you take part in a winter sport, such as ice skating or hockey? Your outdoor activity might even be something more daring, such as mountain climbing or rock climbing. In any case, you need to choose the hand protector or mitt that serves the proper function for your needs. Choosing the proper size and fit are very important. Winter gloves need to fit properly to keep your hands warm and dry, but also so they are functional for the chosen task. If the hand protectors are too small, they will not cover the entire hand and will restrict your movement. If hand protectors are too large, they could slip off or cause you to drop whatever you are holding at the time. It could be extremely dangerous when rock climbing to have an oversized hand product slip off your hands. Find the proper size that will keep your hands warm and dry and allow you to do the task at hand. Are the hand protector s or mitts that you choose going to last? Are they built to withstand the weather conditions, the job conditions, the play conditions, or even the climbing conditions? Did you choose the right winter gloves made out of the correct material for the task at hand? Spending your hard-earned money on hand protector s means you want them to be built to last. They need to durable for the function they are to perform. They need to withstand the cold and wet that they were built for. Shell or Not Material: The protection that your winter hand covering provides against the weather, and the task at hand, could also be based on the shell of the hand protector. Shell hand protector s come with inner liners that can be inserted or removed as needed depending on weather conditions or the task being performed. The lining material can make a difference between cold hands or warm hands. It can also be the difference between wet hands and dry hands. Choose a lining that keeps your hands warm and dry. The material used for insulation can be natural down or synthetic. This will affect the warmth, durability, functionality, and price of the product. The list of extras can vary. Do you need to be able to use a cellphone with touch screen? Do you need heated winter gloves or mitts? Do you need longer wrist covering that cover the ends of your coat sleeves? 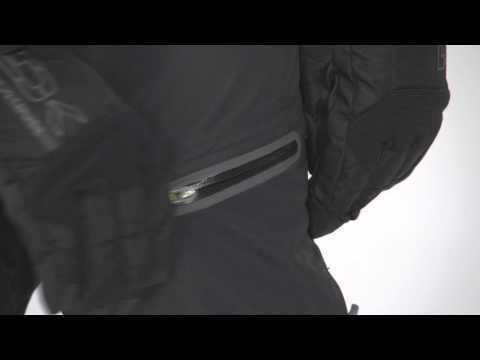 Do you need zippers, pockets, cords, or anything else extra on your hand protector s? How much can you afford? It is worth it to spend the extra money for the high-end hand protection or can you make do with slightly cheaper? Paying the extra money may prove smart in the long run if the hand protector s last longer and don’t need to be replaced. Paying less, but more often, could end up costing more. You could also put your hands at risk with cheaper products. Whatever your winter weather pastime is, don’t let your pleasures be spoiled by being unprepared. Nothing is worse than frozen digits. Invest properly in winter gloves the first time, and you can be warm, cozy and protected for many winters to come. Glovesmag.com is a participant in the Amazon Services LLC Associates Program, and we get a commission on purchases made through our links. Copyright © 2019 . GLOVESMAG.COM, ALL RIGHTS RESERVED.